The Department of Trade and Industry (DTI) through the Export Marketing Bureau, the Philippine Exporters Confederation, Inc. (PHILEXPORT) and the Export Development Council leads the conduct of the 2018 National Export Congress (NEC). NEC is the highlight of the week-long celebration of the National Exporter’s Week (NEW). This year’s theme, “SPICE Up to Scale Up! (Stimulate. Permeate. Innovate. Connect. Expand! )”, is consistent with the thrust for the Philippine export industry to be at the cutting edge of innovation and connectivity as a competitiveness strategy. Over 700 delegates including exporters, business support organizations, policy makers, and academe will convene at the Philippine International Convention Center (PICC), Pasay City on 07 December 2018 for the annual NEC. The event will have discussions on various topics such as global outlook and prospects for Philippine exports, expanding market, ease of doing business, industry-led innovation and connectivity. Export Enablers Exhibit and Logistics Fair will also transpire during the event which will showcase the services of government clearance agencies, financing institutions, Halal certifying bodies and logistic providers. The NEC is the main activity of the National Exporters’ Week (NEW). The first week of December is declared as the Exporters’ Week per Presidential Proclamation 931, Series of 1996 and House Resolution 33, in order to obtain total commitment of the government and the private sector to continuously work together to sustain and maintain export promotion and development. President Duterte signed last month, Republic Act No.11057 or the Personal Property Security Act (PPSA) to boost access to credit and financing for the country’s micro, small and medium enterprises (MSMEs), including exporters as well as farmers and fisherfolks. This means that banks and other financial institutions will now accept account receivables, inventory, warehouse receipts, crops, livestock, machinery and equipment, vehicles and even deposit accounts. 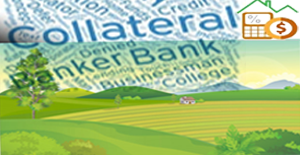 In the past, banks and other financial institutions prefer traditional collateral such as real estate or land for loan applications. As these assets are hard to come by for MSMEs, bank loans were often only accessible to and obtained by larger corporations. But with the new measure, land titles would now cease to be the sole requirement for securing bank loans. By expanding the said list, the government is promoting an increase in economic activity of the MSMEs which redounds to better businesses, more revenues and more jobs for the Filipinos. Further, the law also provides for the establishment of a unified, centralized online notice-based collateral registry that is lodged in the Land Registration Authority (LRA) to provide protection and more confidence to banks and financial institutions in lending to MSMEs and the agriculture sector. Such collateral registry will serve as a centralized digital record for personal properties being used as collateral, thus, allowing banks to make sure that their applicants’ collateral will not be used for more than one loan application. In addition, the passage of the law is expected to improve the country’s position in the Getting Credit indicator of the Ease of Doing Business Survey of the World Bank. In a bid to suppress corruption, the Bureau of Customs (BOC) is now in its second phase of pilot testing the implementation of the 1-Assessment System in selected ports in the country. 1-Assessment which is formerly known as Enhanced Goods Declaration Verification System (EGDVS) is a web-based application which will institutionalize the “Zero Contact Policy” in the cargo clearance process. The system will randomly assign Customs examiners and appraisers to goods declaration filed, thus, removing the “suki system”. As such, examiners, appraisers and brokers can now only communicate through the 1-Assessment portal. Pursuant to Customs Modernization and Tariff Act and other related laws and regulations, Customs Memorandum Order (CMO) 17-2018, which implements the system, provides sanction and penalties to violating parties. .
For transparency, the system also enables importers and brokers to obtain real-time status of their goods declaration lodged with the BOC. The system will only cover “import consumption entries cleared under the formal entry process in all ports of entry. Exempted from the 1-Assessment system, even if cleared under the formal entry process, are the (1) Super Green Lane shipments, (2) articles withdrawn from the Customs Bonded Warehouse for local consumption, (3) wastages under the Bonded Warehouse Regime and jet operation losses, (4) goods entered as temporary imports for subsequent re-exportation and (5) deferred payment of government. To use the system, importers and brokers shall lodge their goods declaration through the Value Added Service Providers, who shall in turn transmit the E2M lodged goods declaration to the 1-Assessment system. The brokers must then attach the supporting documents to the system. However, original hard copies of supporting documents and notarized copy of the Single Administrative Document (SAD) and Supplemental Declaration on Valuation shall be submitted to the Entry Processing Unit or equivalent office in the port for documents verification. Another feature of the system is the randomly re-assignment of goods declaration that remained unattended for two hours. The Philippines needs to catch up with ASEAN neighbors in the implementation of its Dual Training System (DTS). This conclusion is a result of the recent benchmarking mission to Malaysia and Thailand on Dual Training System conducted last 22-27 October, 2018. The main objective of the mission is to benchmark and network with the Malaysia and Thailand Technical Vocational Education and Training (TVET) systems and approaches with the end view of adoption and potential best practice elements in Dual VET, certification and In-company training which are the essential elements of the Dual Training System (DTS). The lessons learned include determination of how the Dual VET policy framework in both countries is operationalized on the ground; observation how the Malaysian and Thai Dual DTS models work; gainful and deeper insight into both countries’ experiences through direct interaction with the DTS practitioners; comparison of various approaches and identification of what is adaptable in the Philippines; and instituting networks with Malaysia and Thai Dual VET players. The Malaysian government fully supported the DTS system in their country, in coordination with the German Chamber of Commerce and Industry-Malaysian Chapter (GCCI-Malaysia), by providing land, building and training facilities and equipment to train those students who opted to take vocational courses as well as their unemployed youths. In turn, GCCI-Malaysia assisted the government by partnering the Malaysian training institutions with multinational companies in terms of technical assistance and acquiring state of the art equipment/ technology or laboratories for use of students and faculties alike. Courses offered in the Malaysian DTS program include Mechatronics, Industrial Management and Logistics Operations Management, Electronics, Automation, Industry 4.0 Specialists course, International Master Craftsman, to name a few. However, unlike in the PH, Malaysia does not implement a ladderized form of education wherein subjects were not credited by the Malaysian higher education institutions when students who took up vocational courses finally opts to enroll in college. The Thai government also fully supports the DTS system in their country in collaboration with the German Chamber of Commerce and Industry-Thailand (GCCI-Thailand). It can be noted that the DTS implementation in Thailand specifically of the Don Bosco Academy can be replicated in the PH to help strengthen resurgence of the country’s manufacturing sector e.g., students produce products for exporters using equipment and facilities donated by multi-national companies or thru the assistance of the German Federal Republic. In addition, Thailand is implementing a ladderized form of education where subjects being taken in the tech-voc curriculum are being credited by the Thai higher education institutions. Meanwhile, in order for the PH to catch up, it is recommended that a review and subsequent amendment of the current Dual Training System Law be considered. This is so because in the DTS law, the Technical Education and Skills Development Authority (TESDA) is both the regulator and provider of all technical and vocational trainings in the country, notwithstanding the private training institutions in the country who are to be accredited first by the latter before they can operate. The PH should also formulate strategies and interventions needed by the country’s apprenticeship program as it relates to our current “endo” regime. Apprenticeship programs under the dual training system can last from two (2) to three (3) years. Hence, with our current “endo’ arrangements, this would be impossible.